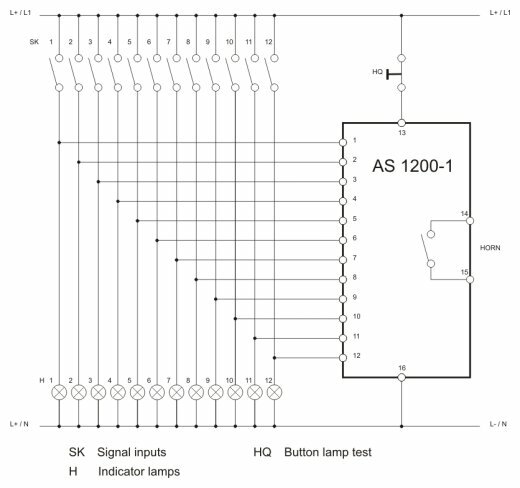 The AS1200 is a new-value group alarm system with 12 inputs. 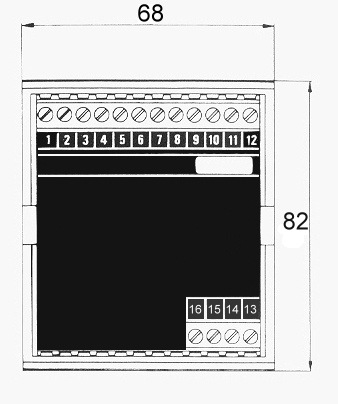 As soon as an alarm contact closes, the potential-free contact is closed which can then, for example, activate a horn. This contact remains closed until it is acknowledged. 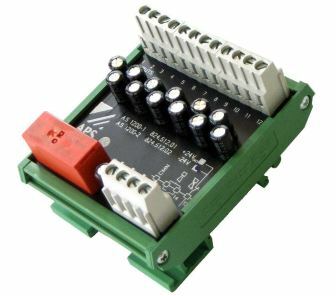 The system is designed for DIN rail assembly. The AS1200 is available in both a positive 24 V- and a negative 24V version.